If you are struggling to know the difference between your Utkata and Uttana, your Adho and Urdvha, and your Dharana and Dhyana, this quick Sanskrit Glossary and Audio Pronunciation Guide can help you learn, practice, and feel confident in using Sanskrit in your yoga classes. 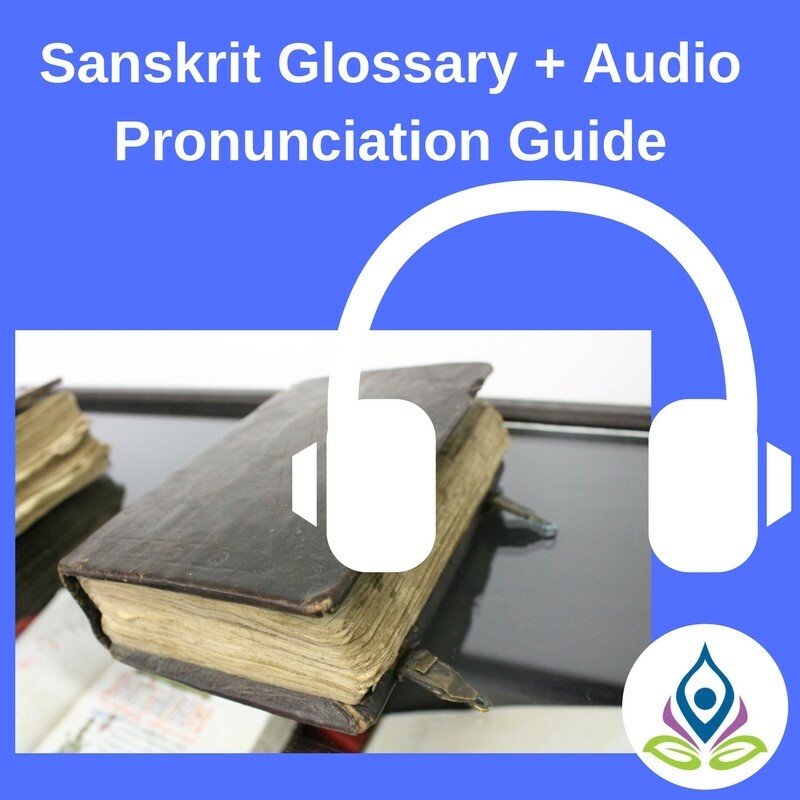 In a downloadable PDF file and 5 short audio files you can read, listen, and practice pronouncing some of the most common Sanskrit words and phrases and pronunciation that we use in yoga class. Download, save, play, practice, and repeat!